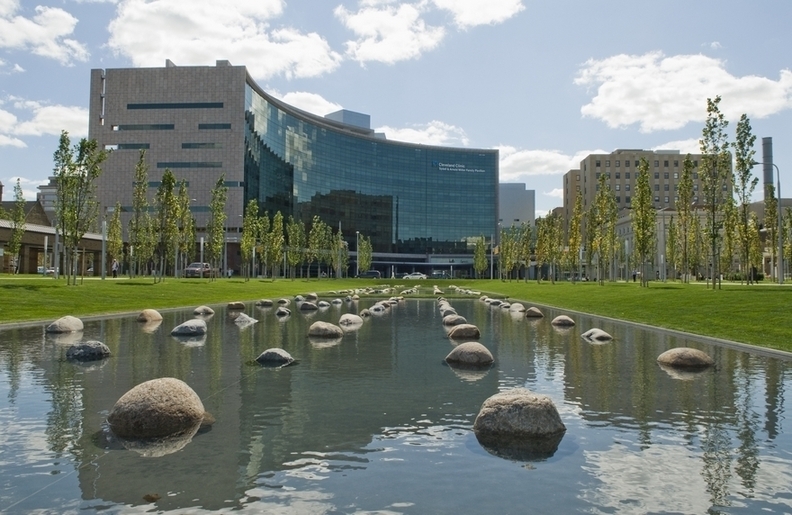 Cleveland Clinic is having to take a look at its revenues and expenses following a tight first half of the year. For the first six months of 2018, the clinic had an operating margin of 1.7%, down from 4.5% for the like period last year, according to financial reports posted this week. The clinic closed out 2017 with an operating margin of 3.9%. Although patient revenue was up in the second quarter of 2018 from 2017, expenses in virtually every category — including salaries, wages and benefits, supplies, pharmaceuticals and more — also grew, resulting in a significantly lower operating income. For the three-month period ended June 30, the clinic posted an operating income of $25.1 million this year, down roughly 80% from $130.5 million in the like period of 2017. Overall, in the first six months of the year, the clinic saw $72.7 million in operating income, compared with $191.2 million in the first half of last year. A 5.3% increase in operating expenses outpaced total unrestricted revenue growth of 2.3% in the first half of the year. "We take more of like a long-term view," said spokeswoman Eileen Sheil. "Quarter by quarter isn't really necessarily an accurate reflection of our overall financial strength, obviously." She said that net patient service revenue, though higher in the first half of 2018 than last year, is "softer" than anticipated. She attributes this in part to access issues in which certain hospitals are operating at capacity, creating wait times for patients. To address this, the clinic is working to optimize how it uses space across the system by moving patients in at-capacity facilities to less busy locations, Sheil said. Also attributing to the difference in operating income was a "favorable recorded item" in 2017 that was "unique to that year," Sheil said, though she declined to elaborate. The financial report indicates there was a one-time $70 million "non-patient payment from a payer" in the first six months of 2017. The clinic has also in the past five to 10 years been working to take costs out of the health system, but Sheil said that they haven't had the same momentum in the past 12 months. "We've had a really concerted effort to reduce costs, you know take out duplications of services, really drive efficiencies," she said. "I think we let the gas off that a little bit over the last 12 months. And I think that's all being looked at going forward in the light of softer patient volumes." "Cleveland Clinic reports operating margin, income were down for first half of the year" originally appeared in Crain's Cleveland Business.